Thousands of plant species dot North America. If you're exploring a wild patch of vegetation and see a plant you like, or encounter an unusual specimen in your garden, you may wish to identify it to learn how you can cultivate or control it. Though various websites and plant encyclopedias list common plant species, such references are typically limited in scope and often require you to already know the plant's name. Instead, solicit the help of a USDA cooperative extension system office for quick identification assistance. Review the plant's size. Use a ruler to measure the plant's height, taken from the base of the plant to its tallest branch, and its spread. Spread is the horizontal distance between the points of its longest side branches. Never guess or estimate the plant's size. Inspect the plant's foliage. 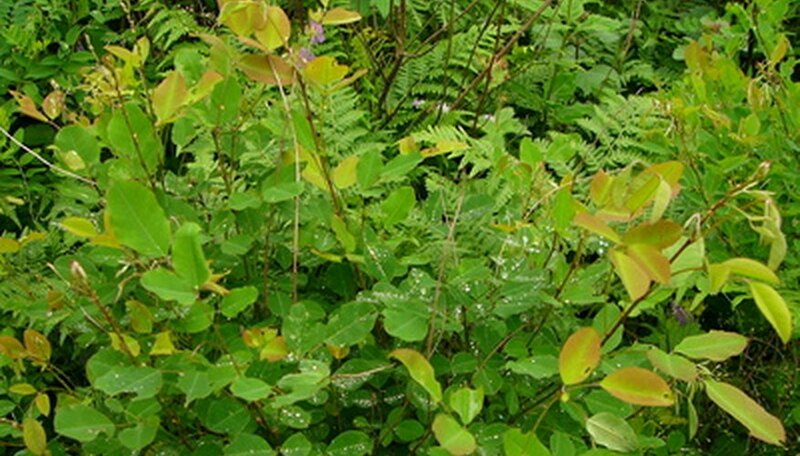 The leaves are one of the most commonly used identifying characteristics for plants, according to Oregon State University. Measure the leaf's length and width. Observe its color, especially if it has a patterned color. Review its texture, how it attaches to the branch and whether it's a single leaf or a lobed leaf (lobed leaves have several "points"). Look for any other identifying characteristics, including blossom color and size, seed pod color and size, and the type of soil in which the plant is growing. Call your regional cooperative extension system office (see Resources) and provide the extension officer with the plant characteristics you identified in steps 1 through 3. Many experts can identify a plant with such characteristics over the phone without seeing the actual plant, according to Colorado State University. Collect a sample of the plant if the extension officer cannot identify the plant over the phone. For small plants, like annual flower species, digging out the plant is ideal. If digging it out isn't an option because you'd like to save it or it's too big for removal, cut off a branch with connected foliage, as well a sample blossom and seed pod if such exist. Take the sample to the regional cooperative office. If the office is too far, a local nursery may be able to identify the plant if it's an ornamental species. Cut plant samples can often be stored in sealed plastic bags in your fridge for up to seven days, suggests Colorado State University.